Eduard Palkovsky, alias Eddie Sender, was born in Slovak Town, Senica, in 1985. He has produced music for many years, but 2006 has been his most successful so far! Eddie has burst on to the world scene with his remix of Pilgrim by Intternal Front, which was played by Armin Van Buuren on ASOT. This remix was played all over the world in the biggest festivals and clubs, which truly put Eddie Sender on the map. 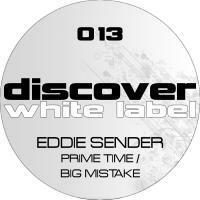 Since then, Eddie Sender's tracks have received support from the best DJs and radio shows around, including: Trance Around The World (Above & Beyond), A State Of Trance (Armin Van Buuren), Corstens Countdown (Ferry Corsten), Clublife (Tiesto) and many others. The second big success was signing tracks with Armada Music, Black Hole Recordings, High Contrast Recordings, Bonzai and Banshee Worx. The most popular tracks are Aum Gasana, Wake Up, One Day In Moscow or Call For Justice. Punjabi Child for Airwave and Rockless for Robert Gitelman were also very successful remixes for Eddie.